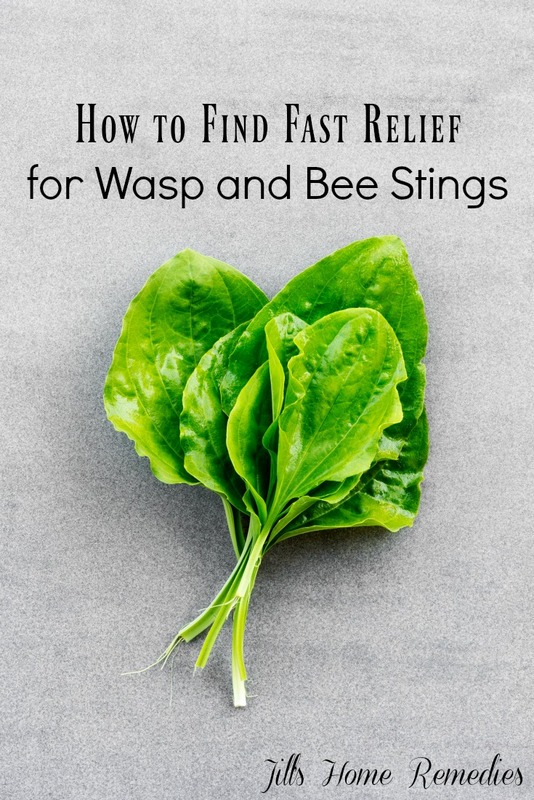 Did you know you have a remedy for wasp and bee stings growing in your back yard? This really comes in handy if you ever encounter an angry wasp or bee. 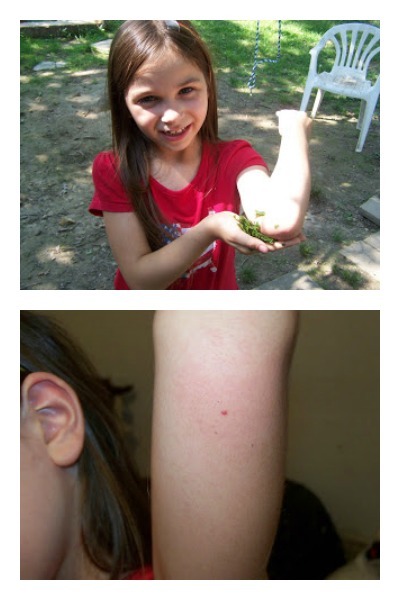 I was rescuing a meowing kitten from the shed when my 6 year old was stung by a wasp. They were flying all over the place and I suggested the girls wait outside, but my 6 year old insisted that if she stood still, the wasps wouldn’t bother her. I’m sure you’ve heard the saying “they won’t bother you if you don’t bother them”. Well…that philosophy didn’t work this time. In just a few moments after her confident statement, she was screaming and crying from a wasp sting. The stinger was still in her, so I knocked it out and did the first and best remedy I knew of that was literally growing where I was standing-plantain! The first thing you want to do is identify the plantain. Memorize this plant ahead of time so you know how to use it for emergencies. Plantain is a plant that grows everywhere except Antarctica! It’s an astringent, meaning it pulls out poisons and toxins. It can, of course be used for bee stings, spider bites (even ones like a brown recluse! ), snake bites (even poisonous), bug bites, acne, etc. – just anything that needs those drawing properties. Here is a picture of plantain in my yard – we have several plants. Like I said, it grows all over the world! They grow in different sizes and may vary in looks depending on the area of the world you live in. I’ve even seen them outside small apartments that don’t have much of a yard at all. Do you know millions of dollars are spent each year trying to get rid of this “weed”? Most people don’t realize its value! Here’s a single plantain leaf I picked. Notice that towards the bottom of the stem, it has a purplish color. There are some plantain plants in my yard that don’t have as much of a purplish color on the stem – but they are still good plantain! This is the front of it and..
…this is the back. Notice how it has strong veins that are raised. This plant has 5 veins on the back…. …but leaves from a larger plantain plant, like the one in my yard above, would have 7-8 veins on the back. So…why do you have to chew on it?! Breaking up the leaves releases the properties of plantain that pull out the poison. You can also wet it and tear it up or smash it with a glass cup, but when my daughter is screaming in pain, I’d rather do what is quickest – even if it means eating a little dirt! When my daughter got stung, I grabbed about 4 leaves of this plant, chewed them up for 10 seconds and stuck it on the sting. Within 30 seconds she stopped crying, and within three minutes she was completely fine. When I put the green goo on her, the sting was already swelling with a white, puffy area around it, and a large red circle around that. The swelling went down quickly after applying the plant! She only got stung once, but if there is more than one sting, make sure the plantain is covering each place and let it do its astringency work! Below is a picture of her about 3 minutes after she got stung, showing us the plantain she’s holding on the sting. See her smile? I know (from experience) she’d still be crying in this picture if it wasn’t for this wonderful plant! When she first got stung, the last thing she wanted was for something to touch it, but I calmly insisted and told her it would pull the poison out. Children tend to be calmer when we are calm and use a soothing voice. For some stings, the pain may be there a little longer (like a hornet), or sometimes a wasp will sting harder than other times. Plus, some people’s body chemistry reacts differently than others. Just patiently hold the plantain on the sting until the pain and swelling subsides. Above is her sting a few hours later~it wasn’t hurting at all. So if you encounter someone that is stung or bit, use the remedy that God created and placed in your own yard. Just bend down, chew on some plantain and plaster it on them. They may look at you strange, but they’ll thank you later!